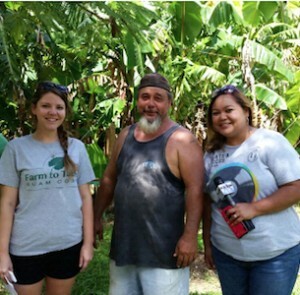 Farmers & Producers – Farm to Table Guam Corp.
Get to know Guam's farming community! Andrede has been a hobbyist farmer for years. 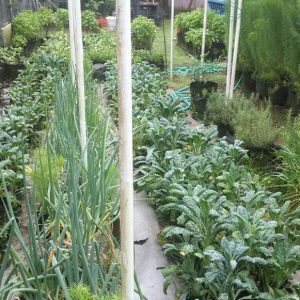 He launched Aire’ Farm in 2017 and currently grows a variety of greens and culinary herbs. All of his products are pesticide free and he only uses natural and organic fertilizers. He contributes to the Farm to Table CSA Program. Mrs. Nelson of Amot Tao’tao Tano Farm has been farming for 11 years. Along the path, each plant has a very helpful sign displaying the traditional Chamorro name, common English name, and the scientific name along with the many medicinal properties of each. From her wide selection of plants, she produces various types of oils including egg yolk oil and coconut ginger oil. While her passion is knowledge and preparation of traditional medicine, vermiculture is another specialty area of the farm. In rows and rows of tubs, little worms are busy producing nutrient-rich organic fertilizer. Mrs. Nelson and her team of dedicated farmers truly offer a unique experience. Contact Mrs. Nelson at amot.taotao.tano@gmail.com or 637-7201. 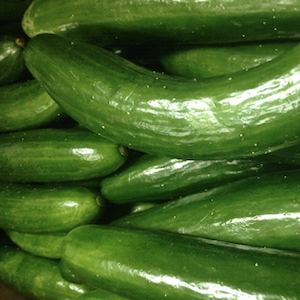 Mr. Aguon provides cucumbers to Pay-Less Supermarket. 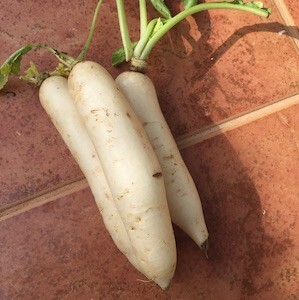 As Faha’ is Mr. Meno’s farm located in Inarajan. He is a full time fourth generation farmer and practices the natural method. He currently produces macadamia, avocado, tangerine, manganitan potaki, red/green atis, papaya, hutu/breadfruit, jicama, starfruit, donne, calamansi, lemon and lemonchina. He also produces essok, sun dried lemmai. 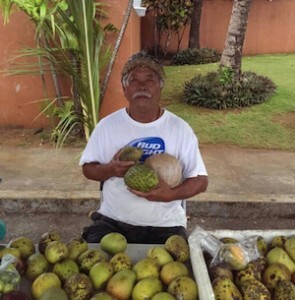 You can find him selling produce on Wednesday evenings at Chamorro Village in Hagatna. 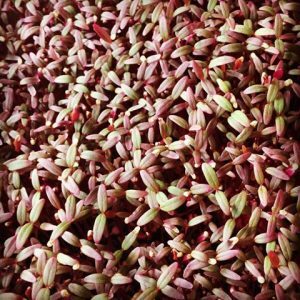 Ray began growing micro greens in 2015 and is currently launching his business, Båtbås Growers. Ms. Bautista grows and sells a variety of fruits and veggies, especially popular Filipino favorites such as chiku, tamarind, and papaya. She tries to stay away from using artificial growing methods as much as possible. You can typically find her on Tuesday’s at the Agat Night Market. Bev has been farming for the last seven years. She grows mostly fruit on a five acre farm. Although her produce is not USDA organic certified yet, Bev chooses to take an organic approach when growing. No fertilizer is used and neem oil rids her pests. After graduating in business from the University of Portland, Brian realized his true passion was to come home and become a full time farmer. His family has been farming for three generations and Brian has 15 years of experience working on the farm. BLG Farms sells their produce to major grocery stores throughout Guam. 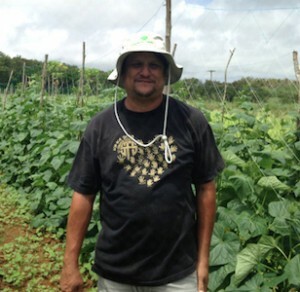 Brian is a bona fide farmer, registered with the Department of Agriculture and is CORE certified with Guam Environmental Protection Agency, using pesticides legally and responsibly. Mike Ady is a new Veteran farmer, recently registered with the Department of Agriculture. He farms as a hobby. When he does have excess produce, Mr. Ady contributes to Farm to Table Guam’s CSA Subscription Service. 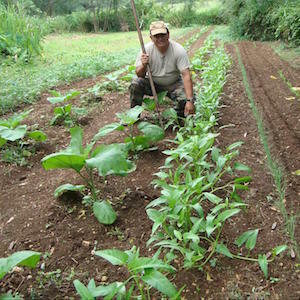 Mr. Castro has been a full time farmer since 1997, residing in Talofofo, Guam. He is a bona fide farmer, registered with the Department of Agriculture. 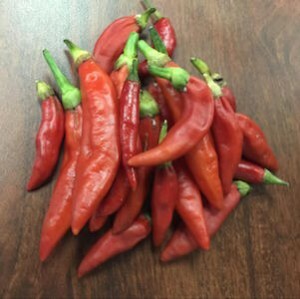 Although Mr. Castro grows hot pepper, his specialty is growing a variety of gourmet mango, including king edward, papaya, smith, indian mango, and carabao. He also grows pepper plants and grafts mango trees. He occasionally sells these items at the Farm to Table Market, Pay-Less Supermarket, and Kim Chee. Mr. Castro welcomes anyone interested in visiting his farm. 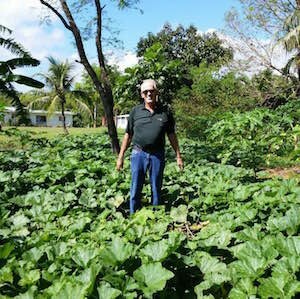 He is very proud of the success of his farm, but is always thinking of more sustainable ways of growing and producing more for the people of Guam to enjoy. For more information or prices, contact Johnny Castro at 671-689-9445. Mr. Cruz farms part time as a hobby, which initially began as a form of therapy. He is a bona fide farmer, registered with the Department of Agriculture and is a member of the Farmers’ Co-op. He is CORE certified with Guam EPA, although he does not use pesticides. He chooses to use the organic method, does not run any tractor implements and doesn’t till. Most of his field is mowed and mulched. His produce is sold mostly to hotel restaurants and the local community. Mr. Cruz owns a farm in his hometown, Merizo, where his family has farmed for three generations. He started his own farm in 2005 and produces mainly banana, papaya, mango, dagu-haya, agaga, and lu’lu, using the natural method of farming. He has always enjoyed farming and since retiring, is now farming full-time as a bona fide farmer. He welcomes the community to visit his farm and allows people to buy produce directly from him. You can find him throughout the week at Chamorro Village in Hagatna. 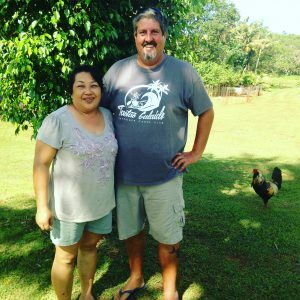 David retired from the UOG Cooperative Extension Service after 30 years service specializing in aquaculture. 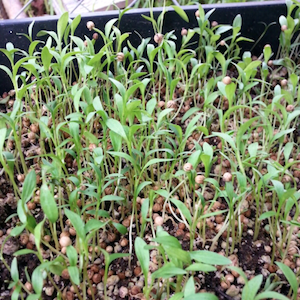 He then began DCAS, a new gourmet farm supplying nutritious microgreens to restaurants and food vendors, including the Farm to Table Guam CSA Program. He also provides consulting services for aquaculture. 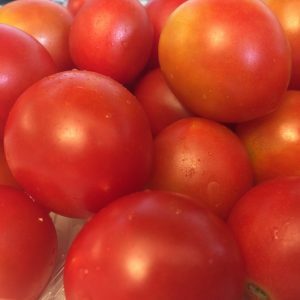 He grows about 40 varieties of microgreens and started cherry tomatoes in 2017. 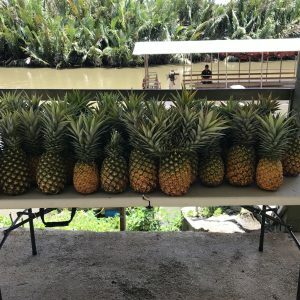 Farm to Table Guam is a non-profit organization, supporting Guam’s local farmers and the community. 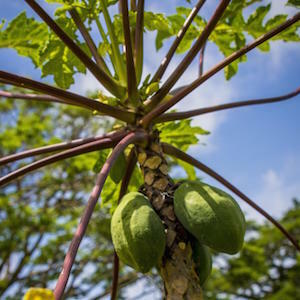 Different types of crops are experimented with to see what grows well on Guam. Organic pesticides, safer soap, neem oil, peat moss, perlite, vermiculite and manure is commonly used on the farm, located at the Department of Agriculture. Many employees are CORE certified with the Guam Environmental Protective Agency to safely spray pesticides (organic). 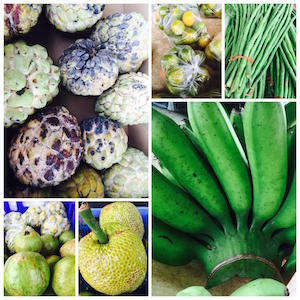 The produce harvested is usually sold at the Mangilao Night Market, Chamorro Village Tailgate Farmers Market, restaurants, and is also added to their CSA Subscription boxes. Mr. Famisaran grew up in the Philippines, but has lived on Guam periodically over the years, most recently since 2010. He graduated from Loma Linda University with degrees in Radiation Therapy and Diagnostic X-ray, but his passion is health and wellness. Mr. Famisaran believes eating fruits and vegetables, especially locally sourced, is important in maintaining your health. Gary farms as a hobby and does not use chemicals on his plants. To rid the pests, Gary hand-pick the bugs off many of his plants. He usually sells his seedlings and ornamental plants at Guam’s Nurseryman’s Association events. 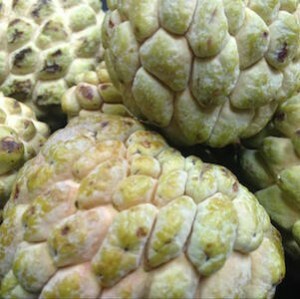 What/Who is Guåhan Family Farms? Our focus is not on quantity, but rather quality. Small food growers that we’ve come to know over the years of having to source local, fresh, natural, real food on island has led us to many relationships with different individuals. 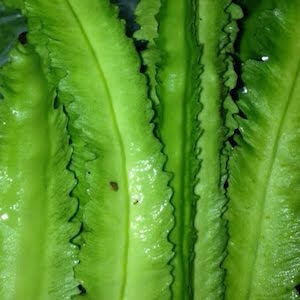 Their growing methods is a must for us as to source the best quality food to folks as if we were sourcing for ourselves.…as we do source for ourselves. Not one farmer has everything, hence variety is sourced from a range of food growers. Fair trade value is a must for us. You will not hear us use the term “organic” if we can help it.…but rather ‘real’ food. Even organic has many loose terms. Food was grown naturally from the ancestors. Look at how healthy they were, how long they lived, how agile/resourceful they were, the list goes on. There is so much more that can be discussed about sourcing local food than I am able to elaborate on, but we are always open to further conversations or any questions. 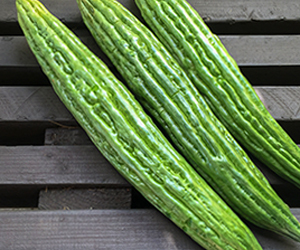 Guåhan Family Farms also offers a CSA Subscription Service where you prepay for a box of local produce. Contact Guåhan Family Farms at guahanfamilyfarms@gmail.com, Facebook, or Instagram. Dr. Odi is a livestock and poultry specialist with the Cooperative Extension and Outreach at the University of Guam. 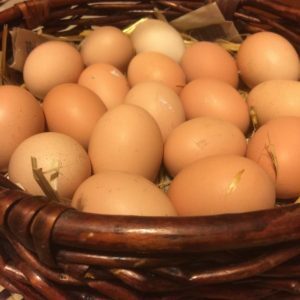 He periodically conducts workshops on egg production and explores options for organic egg production through locally prepared feed. He has a small egg production, yielding about 10-12 dozen per week and contributes to the Farm to Table CSA Program. 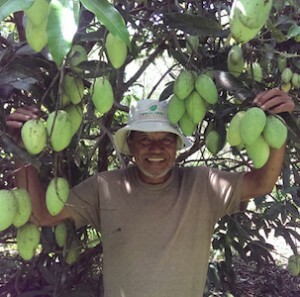 Mr. Hernandez has been farming as a hobby since 1997 and has always been intrigued by fruit trees in particular. Although he is a full time teacher and is also in the Reserves, he is interested in expanding his farm operation. He currently grows produce for sustenance. He grows a variety of produce and also has three hens, which produces eggs for him and his family. Mr. Hernandez is registered as a bona fide farmer with Department of Agriculture. Richard is a new farmer who is just starting out, but already has farmland with crops. The land has been passed down in his family from his grandmother to his mother. He is the first of his generation to have any real interest in farming the land. Richard’s grandfather planted the mandarin orange trees that are growing and bearing fruit today. The hardy trees have weathered storm after storm. There is also a cave with freshwater pools and shrimp. He plans to domesticate the shrimp and hopefully have enough to sell. 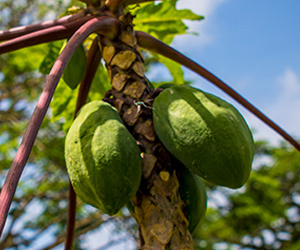 He also has loofa plants, achiote, papaya, banana, local macadamia nut, turmeric, amongst other wild growing crops on his land. He believes in allowing the land to do the work for him and allowing nature to do what it does best. Mr. Iriarte comes from a family that has been farming for three generations. He has been farming for 30 years and now does it full time. This is something he has always been interested in doing. They are registered as bona fide farmers with the Department of Agriculture. Mr. and Mrs. Iriarte use the organic method on their crops. 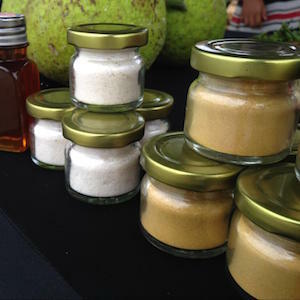 You can typically find them at the Chamorro Village Tailgate Farmers Market every Gov Guam payday Saturday from 7:00 a.m. to 11:00 a.m. 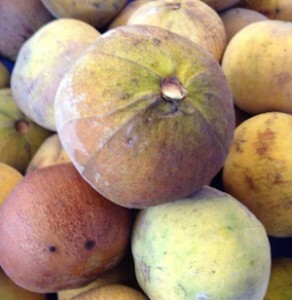 If you are interested in purchasing their produce, please call Farm to Table Guam at 647-0100. 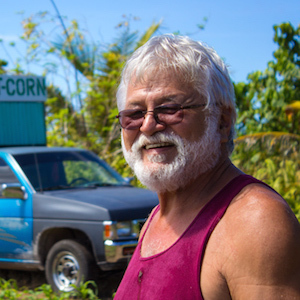 Mr. Ernie Wusstig, of Island View Farms, was born and raised on Guam. As a young man, he moved to the Continental U.S. with his family to expand their business. For many years, he raised cattle, vegetables, elephant garlic, and seasonal products such as pumpkins and Christmas trees. He returned to Guam in 1994 and acquired 60 acres through the Chamorro Land Trust, which is an organization that redistributes land to the native Chamorros that was taken by the U.S. during World War II. Although he grows eggplant and watermelon, you will most often find him among his corn fields or with his truck of sweet corn. With 45 years of farming under his belt, Mr. Wusstig has much experience to share. He was kind enough to show the Farm to Table Team around his “no-till” farm where he and one other family member maintain the fields. Aside from having knowledge, he also has the enthusiasm. There are two things we learned about Mr. Wusstig: He loves farming, and he loves to see his consumers smiling as they look forward to sinking their teeth into sweet, yellow cobs of corn. Is there a better combination? We think not. Mark Leon Guerrero has been farming his whole life. After all, he is a third generation farmer! He farms full time and is a supplier for Pay-Less Supermarkets. 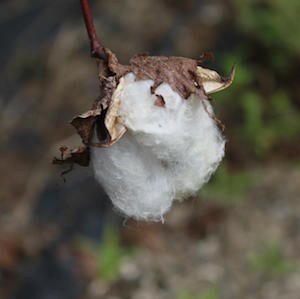 Mark uses a minimal amount of pesticides, along with a variety or organic methods. He is CORE certified with Guam EPA and has training on how to properly handle and apply such chemicals. Mark is also registered with the Department of Agriculture. Manenggon Hills Produce is a family of growers. 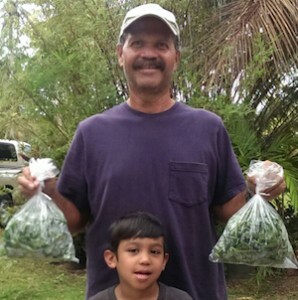 Tony & Krisinda Aguon along with their children Triston, Ethan and Savanna Dee, grow calamansi lemons, local lemons, local limes as well as various herbs such as basil and parsley in the hills of Manenggon, Yona which are provided to Guam’s local hotels, restaurants and supermarkets. 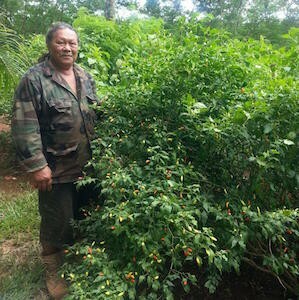 The Aguon family is a supporter and participant of the “BUY LOCAL” campaign, a member of the “GUAM FARMER’S COOPERATIVE”, and is recognized by the Department of Agriculture. Florence and her husband farm part time during their free time. They are planning to expand their farm very soon. She grows papaya, bananas, and other crops on a small scale and have started with egg laying hens. She occasionally supports our CSA box and sells her eggs to local bakeries. Mr. Naputi and his family sells their produce Mon-Wed at Chamorro Village and at the Mangilao Night Market every Thursday night. Kenny began farming in 2010 at the young age of 12. With no experience or family background in farming, he started to experiment with different produce as a hobby. He grows a variety of organic fruits and vegetables such as mulberries, corn, and herbs and uses neem oil, safer soap, and fish emulsion to control the pests. Kenny raises bees, which, in addition to providing honey, help pollinate his plants. His specialty is raising different breeds of chickens including Barred Rock, Silver Laced, and Wyandotte. They typically roam around in the yard for about eight hours per day and are fed coconut, local fruit, food scraps, bugs, coconut rhino grubs, and commercial feed. Kenny sells the eggs to family, friends, or at the Farm to Table Market. Paradise Natural Farm is a new developing small farm, run by Jason, Hertha, and Mahyao Van Beurden and Charles Quintanilla. 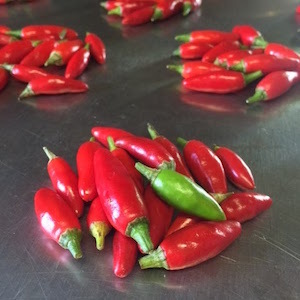 They began farming in 1998, specializing in hot pepper, bell pepper, and eggplant, selling to local stores and flea markets. 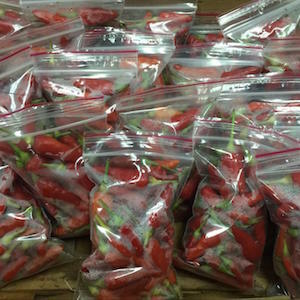 In 2003, Paradise Natural Farm had a record planting season of hot pepper nearing 1000 plants recorded by USDA. The crop was destroyed by southern blight so they had to heal the soil for a few years while putting their planting on hold. During the break, Jason became interested in a more sustainable way of farming, using livestock to heal soils and using them as a building block to micro farming and food forest’s. For the past two years, no chemical fertilizers or pesticides have been used on their raised beds and there has been a decrease in pest damage. After moving the chickens to different plots, healthy tree growth and the return of green wild grasses has occurred. Paradise Natural Farms will soon experiment with hoop houses and will incorporate chickens and crops within those houses, all controlled with no chemical input. They also plan on increasing chicken flocks, which are fed commercial feed and fresh coconut. P.U.N.G.Co Farms is a family run farm. The eggs are grown and nurtured with love and the best of intentions by Xian and Shiloh Muna-Brecht. Please wash the eggs well before using. 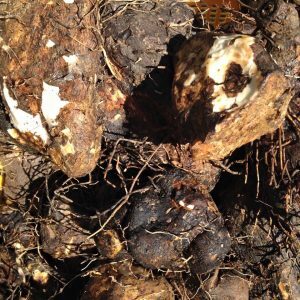 Blood in the eggs is rare but occurs naturally. 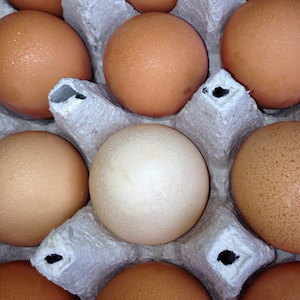 If you are unsatisfied for any reason, please let P.U.N.G.Co Farms know and they will happily replace the egg(s). They recycle egg cartons so feel free to return them! To order or share concerns, you may contact Chelsa at 777-4925 or cmunabrecht@yahoo.com. Kyle is a beginning farmer, starting off small. 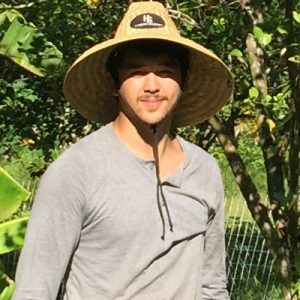 He currently doesn’t sell his produce at any of the markets, as he is a contributor to the Farm to Table Guam CSA Subscription Service. Linda has been farming since 1992. She previously worked for the Department of Agriculture and now farms as a hobby. 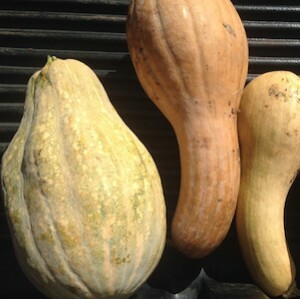 Linda shares her harvest with friends and family or sells on a small scale. 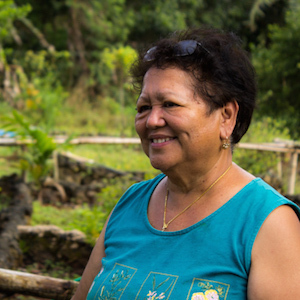 Mary Kay Reyes farms on her land in Ipan Talafofo. Her family has farmed on the same land since she was little. 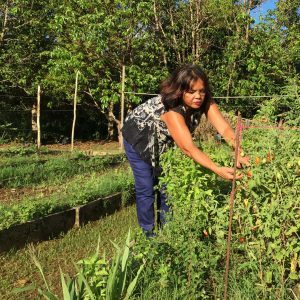 She has just recently moved back to Guam and obtained her CORE Certification with EPA and her Bona-fide Farmer status with the Department of Agriculture. Kay supplies our CSA boxes with her gorgeous fruit and vegetables, claiming to rely mostly on dishwashing liquid and water to help keep the bugs off. She also runs a fruit stand down in Ipan right after First Beach. Visit her on Thursdays, Fridays, Saturdays, and Sundays to pick up some gorgeous, locally grown produce. 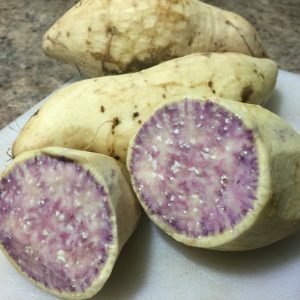 Jovita brings in sweet potato to Guam every week from their farm in Rota. She has been farming for 15 years and continues to be commercial suppliers. Skye Shin grew up in Korea but has been living on Guam for the past 25 years. She is an entrepreneur and has owned Entre Nous Salon for the past seven years. For as long as she can remember she has been farming and making kimchi, which she helped her mother with all while growing up. 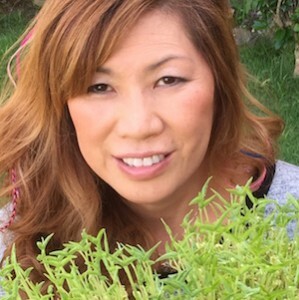 She grows sprouts hydroponically in her home and tries to use all local cabbage and vegetables for her Kimchi. She recommends the sprouts be eaten raw or added as garnish to soups and salads. She mainly sells to restaurants, but will also sell directly to individuals. Mr. Borja has grown up in the field. At just eight years old, he helped with weeding, planting vegetables and raising livestock on his family’s farm. He has since managed many farms including 18 acres of GovGuam area in addition to 3 acres of private land. 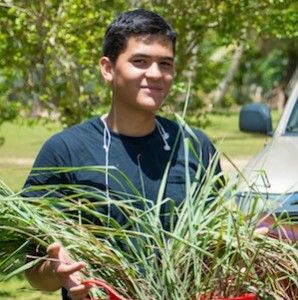 Since 1980, Mr. Borja has worked in Agriculture at the University of Guam as a research assistant in Entomology as well as pursuing a Bachelor’s Degree in Agriculture with emphasis on Plant Production and Insect Pest Management under Applied Agriculture. He is currently the Chief of the Agricultural Development Services Division and has a farm called Sunrise Farms, located in Talofofo. He grows kang kong, pechay and radish as short-term crops, eggplant, green onions, cherry tomatoes, okra, hot peppers, long beans, pumpkins or gourd and winged beans as mid-term crops and yams, taro, papaya, cooking banana, tapioca and ornamental (Ti plants) as long-term crops using a combination of organic, natural and conventional practices to control pests effectively. Mr. Rosario typically sells his produce to 7 Day Supermarket and Day Buy Day. For individual sales, you can find him at the Mangilao Night Market on Thursday evenings. For direct sales, call Mr. Rosario at 688-5165. Interested in taking a tour? Call Farm to Table Guam at 647-0100. 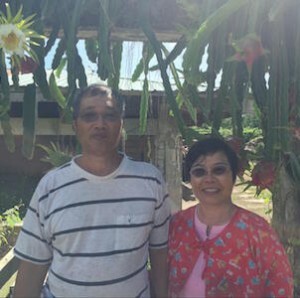 The Liu family grows a variety of fruits and vegetables including kang kong and sugarcane, but their specialty is dragon fruit. 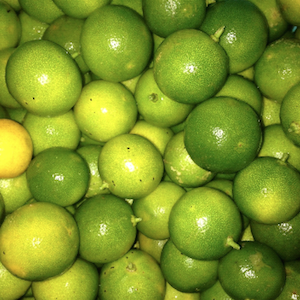 Although the Liu’s do not use any pesticides or herbicides, they do use fertilizer. They are registered with the Department of Agriculture as a bona fide farmer. 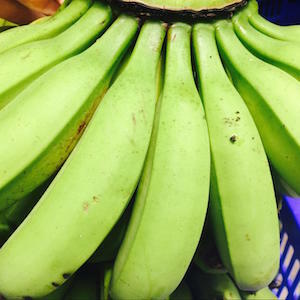 You can typically find their produce on the side of the road on Route 16 in Barrigada (by National Guard) or in various stores around the island. 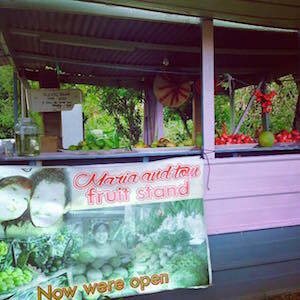 You can find Tom and Maria at their fruit stand in Barrigada next to Revenue and Tax. Mr. Torres is a bona fide farmer registered with the Department of Agriculture. You can typically find him at Chamorro Village. 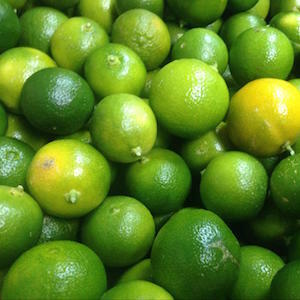 University of Guam’s Triton Farms began in 2001 after being funded by a USDA Future Agriculture and Food Systems Program, jointly with the University of the Virgin Islands. The goal was to develop an educational small farm, less than five acres, in the Pacific Islands. They provide an integrated farm system consisting of three components: animals, plants, and fish. 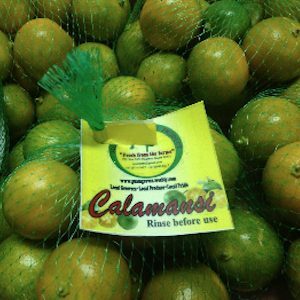 They have Isa Brown chickens, tilapia, and many various plants that include, but are not limited to, cotton, calamansi, star apples, canistel, lettuce sprouts, and even Hawaiian tea plants. Their eggs are occasionally sold at Tokyo Mart. 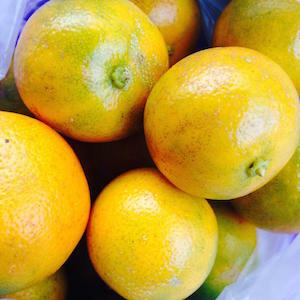 Sometimes you can find other produce for sale on their Facebook page, UOG Triton Farm. This Yigo farm has an active aquaponics system which is a method of growing crops and fish together in a re-circulating system. The tilapia are raised in tanks where the water is then transferred to the water bed for the plants. Before it enters, beneficial bacteria breaks down the fish waste into Nitrite and then to Nitrogen, a key nutrient for plant development. Talk about self-sustaining! The pumps are even powered by solar panels. If you are a student, with a school or organization, or just interested in seeing for yourself how an aquaponics system works, schedule a tour today! Vision: To be the place, chosen by the people of Guam, to celebrate our culture, and share the natural beauty of the island, with visitors of all ages. Valley of the Latte is Guam’s most popular eco-friendly destination, providing excellent service and quality, fun-filled activities for travelers of all ages. Over the years, thousands of guests and visitors to Guam have loved exploring the heart of the island and the Talofofo and Ugum rivers with us! We take pride in being Guam’s only true eco-friendly and sustainable island extravaganza filled with all of the adventures one can imagine on land and in the waters. You may now walk the fields and try the freshest produce on island. If you do not make it to the Valley, do not worry. You may still find our delicious fruits and vegetables at island businesses, at local Farmers’ markets, or at the Valley of the Latte Gift Shop.